so- the show(s) is (are) legit and posted all around the interwebs. here’s a poster thing to share with your buddy and girlfriend and family. the important thing is that you come to this show. 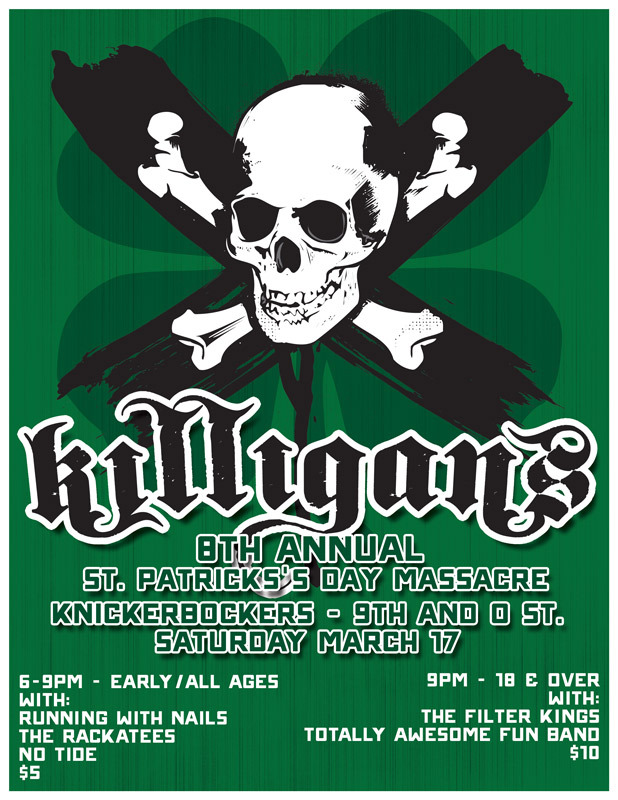 it’s our 8th St Patty’s day show in a row at Knickerbockers… and if you follow the calendar you know that this means it’s the 2nd or 3rd time St Patty’s has fallen on a Saturday. we don’t remember all of the previous 7 year’s shows dates exactly. we don’t remember our previous 7 shows exactly. the point is – it’s a Saturday night and there’s no reason not to be there. things might get weird. we hope things get weird. it will be sad that some of our friends and family who have helped us celebrate over the years will not be there to share in the fun, but we will celebrate them, and the good times that we’ve had.